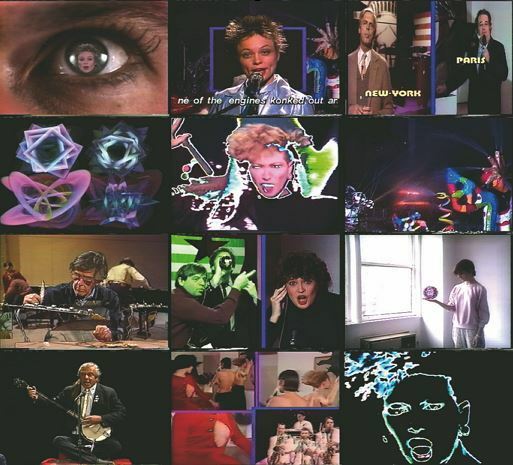 On Jan. 1, 1984, Nam June Paik celebrated New Year’s Day with a transcontinental live broadcast that began with the greeting “Good Morning Mr. Orwell.” It spanned New York, Paris, Berlin and Seoul, involved more than 100 artists, and was viewed by 25 million people. Paik carried out the project to rebut George Orwell’s “1984.” The novel warns against electronic technology and a totalitarian state taking advantage of media to control people. Saying “George Orwell, you were half right,” the artwork expresses his artistic inspiration and creativity to highlight the positive aspects of media use. Thirty years later, the Nam June Paik Art Center is commemorating the satellite broadcast with an exhibition. It will not only replay the broadcast but also invite contemporary media artists who follow Paik’s legacy and further explore the expanded roles of media today. Paik’s original satellite installation is on display with the detailed production plan so that the audience can understand how the complex megascale project was carried out 30 years ago. Although full of avant-garde images and expressions, the broadcast features intentional mistakes to make it look live. Intentional and unintentional technical glitches appear. In the beginning, two emcees ask one another questions. A technical problem causes gray screens to pop up. A man in New York addresses a woman in Paris, demanding answers to the questions he asked her personally the night before. The exhibition also showcases works by 16 contemporary artists who explore the extended role of media based on what Paik initially believed. 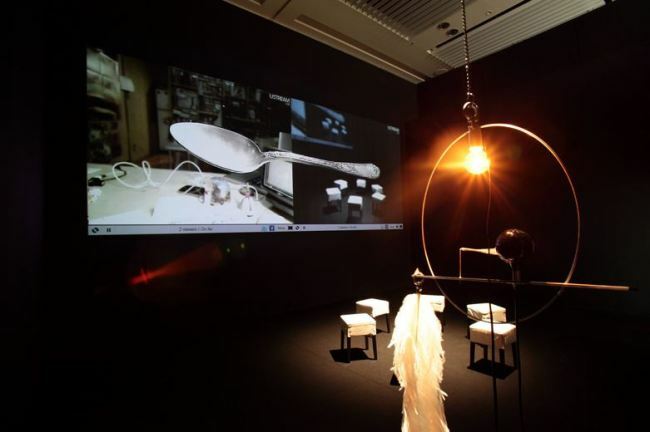 Japanese media artist duo Exonemo links two different places and times with an object through the Internet. The screen shows a silver spoon cut in two then reattached into its original form. The first half is in Japan while the other half is on display at the exhibition room. The Internet and video technology make the spoon look complete on the screen as if through supernatural powers. Korean artist Song Sang-hee borrows sentences from “1984” and embeds them in her video work “Dawn of the Day: The City Dreaming of a Utopia.” A compilation of images of various places in Anyang just south of Seoul, taken at dawn, look apocalyptic in her reproduction of the images and the sentences. The exhibition “Good Morning Mr. Orwell,” runs through Nov. 16 at the NJP Art Center in Yongin, Gyeonggi Province. For more information, visit www.njpartcenter.kr.